Projeto VOA! from Flavio Isawa on Vimeo. The Project VOA! is a cultural initiative created by students with outstanding academic records and awards in Olympics Cultural Competitions, to help students from public schools, with fewer financial resources. 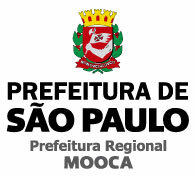 We have almost four (04) years of existence in the city of São Paulo - Brazil. 3) Students with especial results can be choosed to receive scholarships differentiated and participate in cultural exchanges. In addition to providing financial support to this initiative promotes a parallel integration work with parents, through debates and lectures on topics in various areas of everyday life and knowledge, and yet there are many plans to be implemented! By sowing between students and their families in a dignified manner, the recovery of citizenship through educational work differently, we create true multipliers of our ideal future for the society in which we live. Approach people through the pursuit of worthy goals, despite the social and cultural differences between them. For more information visit: www.projetovoa.org and CONTACT US! Join us by this GLOBAL PROJECT!